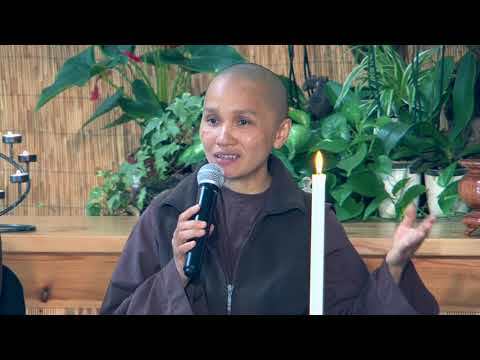 Sister Chân Hội Nghiêm was ordained by Thầy as a novice nun on December 4th 1999 in the “Cherry” family, and received full ordination as a bhikshuni on January 9th 2003. 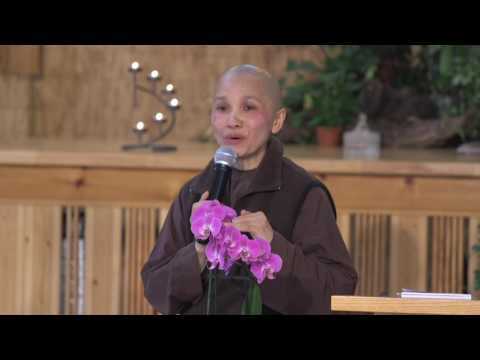 She received the Lamp Transmission as a Dharma Teacher in 2006. When Sr. Hội Nghiêm was a child, she admired a monk who stayed at a pagoda in her village. She admired the way he taught her and the people of the village, and she gave rise to the aspiration to become a nun and a teacher. After school, Sr. Hội Nghiêm first decided to become a high school teacher in Vietnam. She continued to search for a way of education that is not limited to schools only, but can help people with their lives wherever they go. She found it in the Plum Village practice. 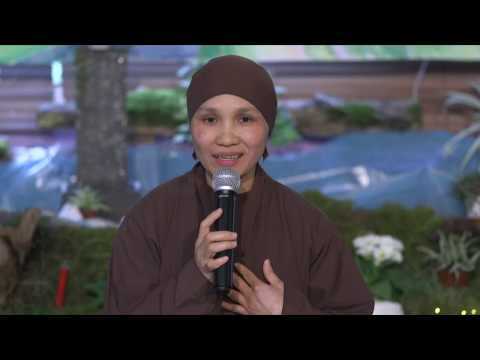 To Sr. Hội Nghiêm, Thầy is not only her teacher but also her friend, because of the way Thầy relates intimately with her and all his disciples. Sometimes Thầy would invite his disciples to have tea together and share funny stories that made them laugh. The qualities of Thầy that Sr. Hội Nghiêm admired are simplicity and frugality. One time on Christmas Eve, she left the lights on in the meditation hall so that people could enjoy the decoration. But Thầy asked her to turn off the lights to conserve electricity. Sr. Hội Nghiêm has been the abbess of Lower Hamlet since September 2014. She teaches the fine manners class for the sisters and aspirants. 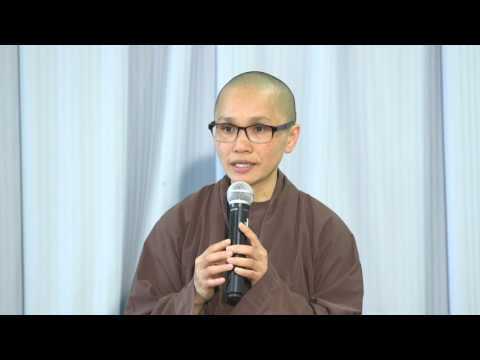 Her favorite practices are sitting meditation, walking meditation, and writing poetry. The seed of poetry in Sr. Hội Nghiêm was first watered when she listened to Thầy’s poetry while she was in Vietnam. Day by day, the seed ripened, and became a source of inspiration for her poetry. To Sr. Hội Nghiêm, poetry is a medium to share what is at the depth of her inner world. When she feels sad, she would read a poem. After transforming her sadness and suffering, a new poem appears naturally. 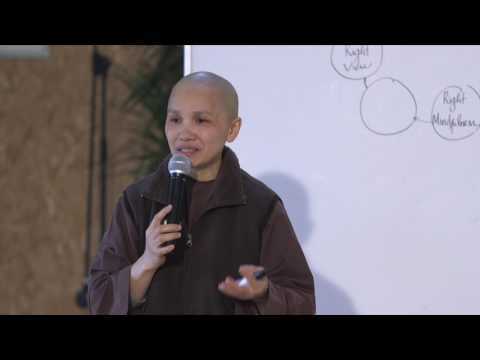 Now she offers the fruit of her practice in the form of poetry in her Dharma talks.